Lightly-scented, all-natural baby lotion is perfect for little ones with dry, sensitive, or normal skin. Give your baby the gift of natural hydration! 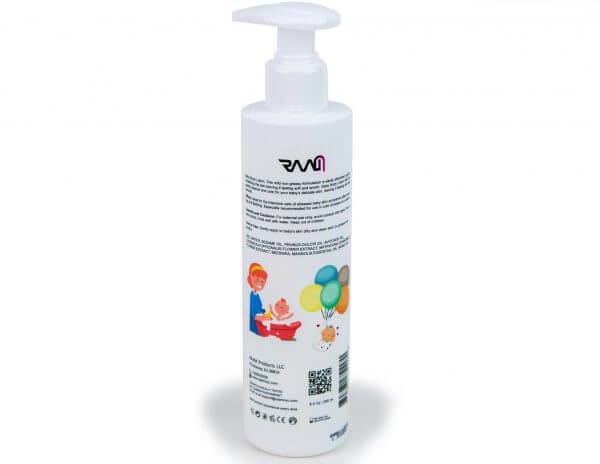 RAAM Products offers a gentle baby lotion made from completely natural ingredients for your little one. Our gentle baby body lotion is approved as 100% natural and safe for all skin types by dermatologists and is tested by an FDA-approved lab in EU. 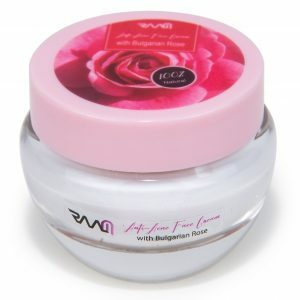 Our gentle baby lotion is made in Bulgaria with an infusion of the world-renowned Bulgarian rose for a subtly sweet scent that every baby (and parent) loves. Because we know how sensitive a baby’s skin is, we’ve ensured that our natural baby lotion is mild, non-greasy, and easily absorbed. Rest assured that RAAM’s natural baby lotion isn’t tested on animals and is steroid- and paraben-free. As a small family-owned and operated company, we are determined to provide families with all-natural baby care products that won’t break the bank and this gentle baby lotion does just that! Apply our baby body lotion generously to clean and dry skin. This product is ideal for use after bathing and is especially helpful in cold climates or during the winter months when skin is extra dry. This lotion can also be applied to the face 10 to 15 minutes before sun exposure and should be reapplied frequently to ensure maximum protection from the sun.